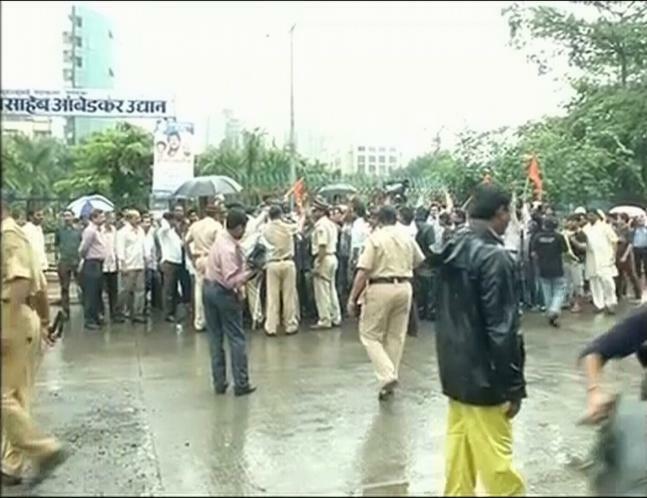 VHP on Monday announced nationwide protest against UP govt crackdown on 84-Kosi yatra. 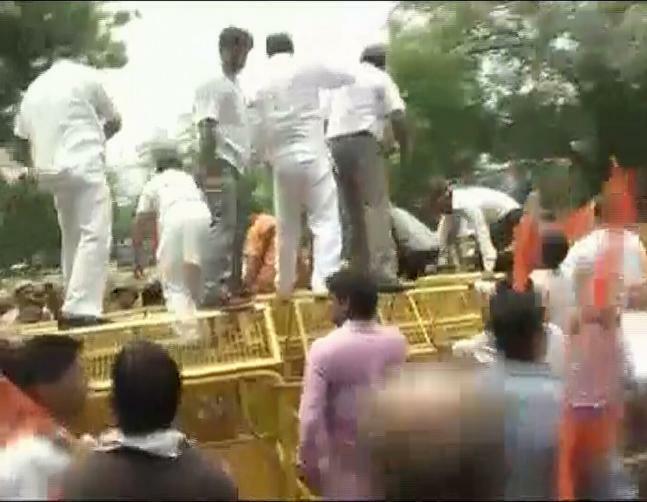 VHP staged a massive rally protesting against leaders detention in Ayodhya. 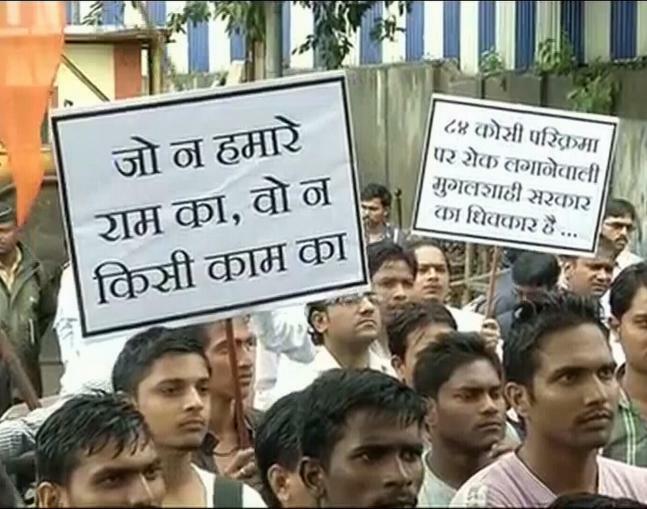 Vishwa Hindu Parishad workers took to the streets to protest against UP government. 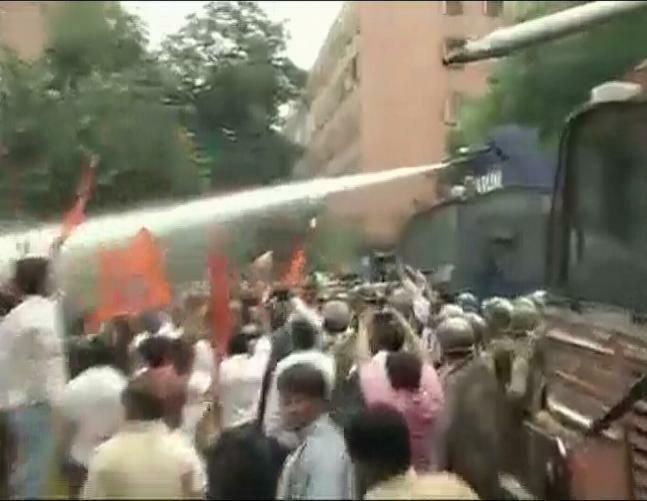 Ayodhya Yatra not just hit the Parliament but also the streets of Delhi as VHP workers clashed with policemen. 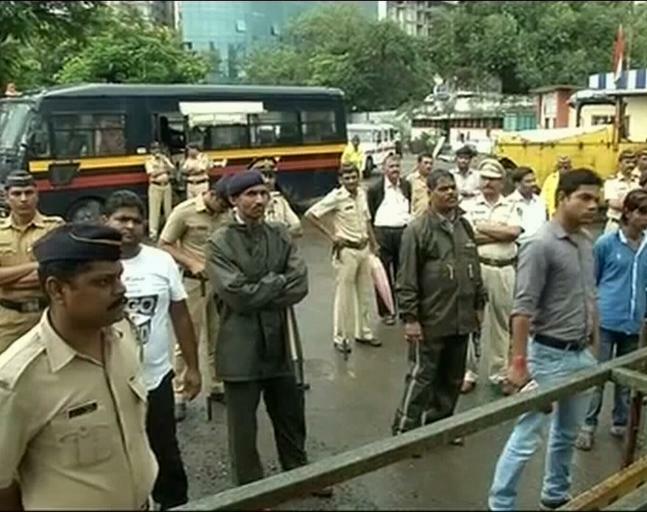 Policemen tried to maintain law and order situation. 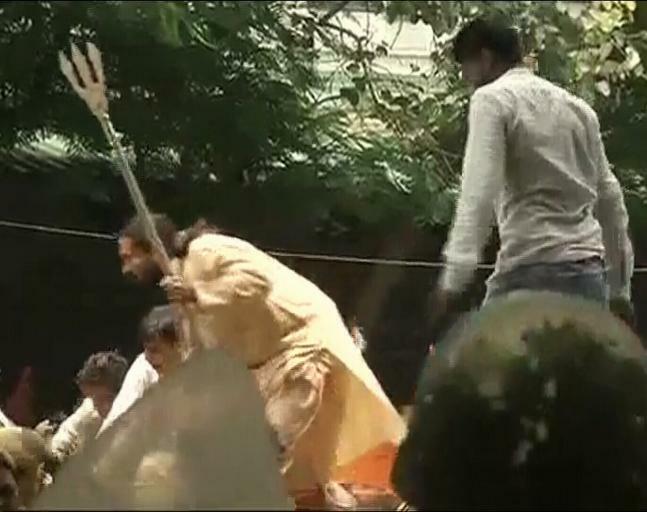 A VHP worker holds Trishul in his hand while protesting against UP govt's crackdown. 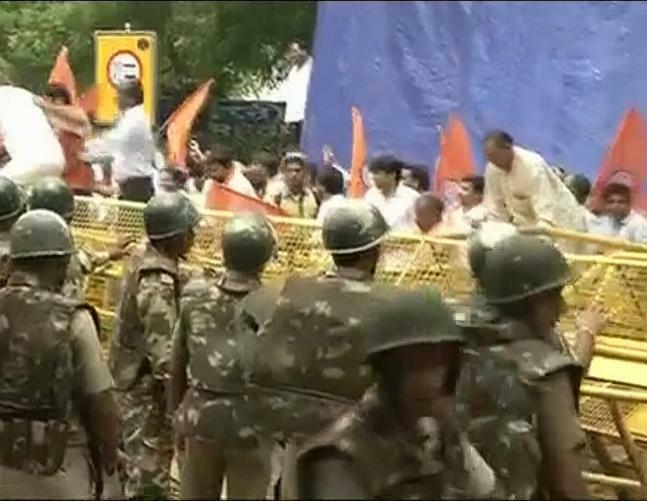 VHP workers held protests at Jantar Mantar against the Uttar Pradesh government's crackdown. 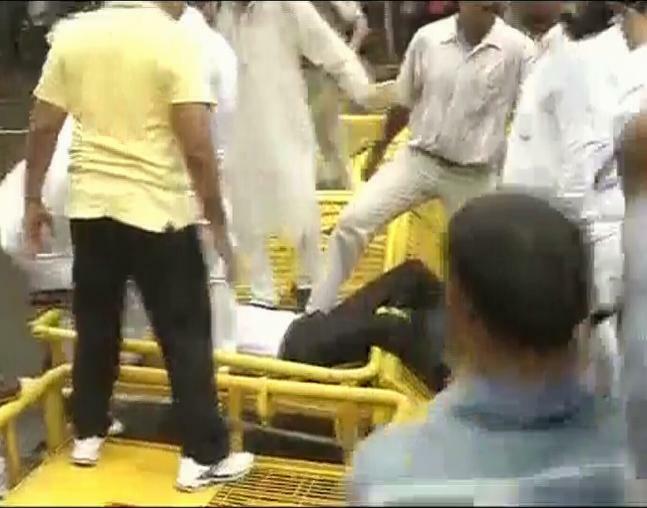 While protesting and clashing with the police a man fell down on the barricade. 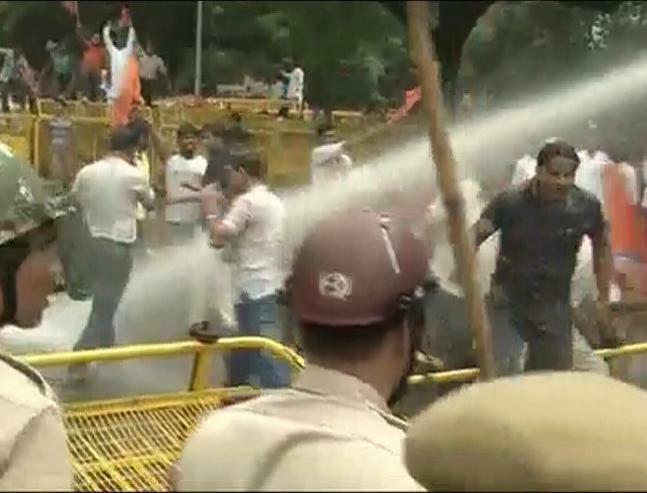 The police used water canons to disperse the protesters at Jantar Mantar.